If you now possess eternal life, your name is in the Book of Life. 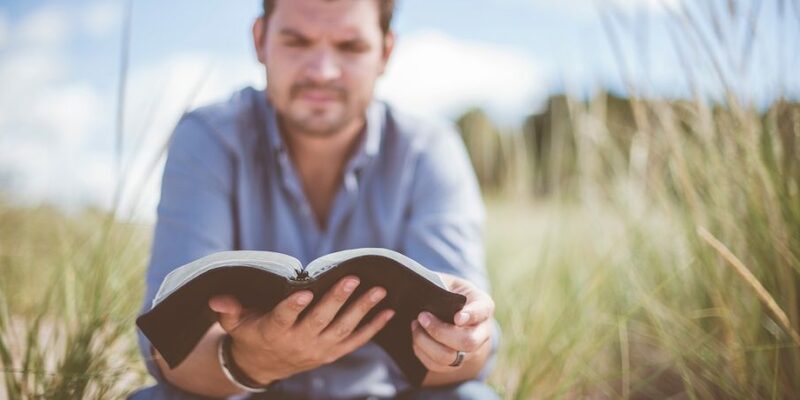 If, in the end, it turns out that you have sentenced your soul to banishment from the presence of God, your name is in “other books.” Understand, that if your record is now being recorded in “other books,” it is a record that can be expunged, wiped away, forgotten and cleansed by the Grace of God as a result of the atoning sacrifice of the Messiah, the One that God promised would come. The record in the “other books” is not indelibly written. That record can be made invisible. Consider this very important concept. The page of “this life” is a two-sided page. On one side is the part that precedes your moment of salvation, that moment in which you confess your sins, repent and turn to your Savior whose atoning sacrifice provides for your redemption. You are not held accountable for the side of the page that precedes salvation. Your sins are forgiven. Listen to this very important truth. The reverse side of the single page, the eternal salvation side, is only available to those whose sins have been forgiven and removed. Again, the record on side one, the record established before salvation, which can be expunged and forgotten, will never be remembered against you again. Please grasp this fact. When you repent and are forgiven, your sins have been washed by the blood of the Lamb, Jesus Christ, the Messiah. I will give you many references that explain that sentence, in detail, but here we are focusing on the fact that it would be more than useful to understand the following point. Prior to your acceptance of the plan of salvation, provided by God, when He sent His only begotten Son to provide for the remission of your sins, prior to that moment, you are creating a record on one side of the single page of life. When you repent and are reborn, when you have that stony heart of flesh replaced by the Spirit of God, in you, you begin to create a record on the flip side of page one. You are assured of your place in eternity. You will not experience the wrath of God, Satan will have no more absolute, unobstructed power over you, due to the presence of the power of the Holy Spirit in you, and you will be “born again.” You will have crossed over and you will never be a slave to the flesh again. You will have chosen eternal life. As to what you do with the flip side of the single page of life, that is, everything you do after you choose to respond to God’s love, the record does remain. Every thought, every thing that you do with the remainder of your life is recorded. You will be establishing a “permanent record.” Listen. What is written is recorded for a time to come, forever and ever. Every thought you have is known to God and His thoughts toward you exceed number. Listen. Job, when he was being tested by Satan, did not know that his words would be permanently recorded and read by men for centuries. Here he states a prayer that God fulfilled. Your words and mine are inscribed as well. 23 “Oh, that my words were written! Oh, that they were inscribed in a book! 24 That they were engraved on a rock with an iron pen and lead, forever! We know that the Lord, the Messiah has been given the power to separate the saints from the sinners, the sheep from goats. Did you know that once you are among the Lord’s flock that God Himself will judge between the fat and the lean sheep (Ezekiel 34:20)? The point you may want to consider is that judgment between the sheep, the fat and the lean, will occur. It appears that there are different levels of rewards, even within the Kingdom. As you live life, after your salvation is assured, you are creating a record. That record is important and will determine your status in the Kingdom and in eternity, as ordained by God. The primary challenge, and the choice is yours, is to become one of the sheep, one of the followers of the Lamb of God, the Messiah. That done, your sins are forgiven and you are starting a new life with a new heart. Thereafter, every thought and action count, forever. We Christians, who misbehave, by God’s standards, are doing so at our own peril.